The Tun-huang caves are the sparkle of Buddhist art over the centuries, situated at the foot of the Mountain of Singing Sands, they are the brush of the Buddha, where an itinerant monk Yueh-ts’un watched the iridescent peaks in the sheen of blue satin, settled down to excavate the first cave in AD344, and to paint its walls with colours brought by birds as the folk legends has it. Speechless with joy, he had began a long journey of a thousand years of Buddhist meditation in the dazzling ecstasies of murals, scrolls and sculptures. 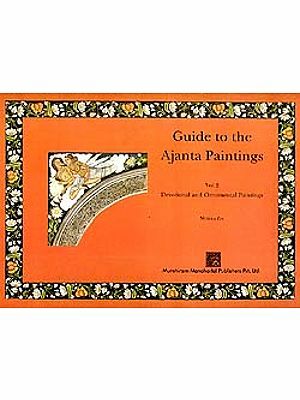 This book reproduces and describes for the first time the paintings from Tun-huang in the National Museum, New Delhi. The 143 best scrolls have been narrated whose colours are still radiant images of the divine. The National Museum is one of the three major repositories of the Tun-huang paintings, the others being the British Museum London and the Musee Guimet, Paris. While the two latter collections have been published, this book fulfils a long-felt need and will cover a major lacuna of research in presenting the third large repository. The introduction traces the history of Tun-huang from the dreams of Chinese emperors to control the Deep Sands, the role of Yueh-chihs, the excavation of the first cave, the folk legends, the iconography of the murals from AD397-1368, etc. The Scrolls from Tun-huang are the charm of these caverns that once drew humans to their depths. Lokesh Chandra is an internationally renowned scholar of Tibetan, Mongolian and Sino-Japanese Buddhism. A prolific writer, he has to his credit 600 works, including critical editions of classical text in Sanskrit, Tibetan, Mangolian, Chinese and Old Javanese language. Among them are classics like the Tibetan Sanskrit Dictionary, Material for a History of Tibetan Literature, Buddhist Iconography of Tibet and the Dictionary of Buddhist Iconography in 15 volumes. Lokesh Chandra was nominated by the President of India to the Parliament in 1974-80, and again in 1980-86. He has been Vice President of the Indian Council for Cultural Relations, and Chairman of the Indian Council for Historical Research. 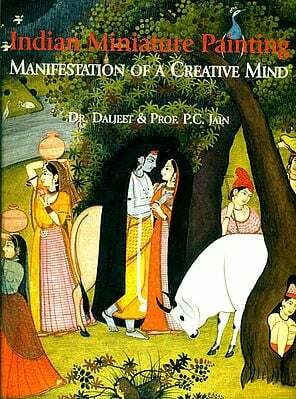 Presently he is Director, International Academy of Indian Culture. Tun-huang is the dream child of the Avatamsaka tradition of contemplation as it unfolded in Bamiyan. Both are marvels and wonders of the mind in their intensity and clarity, in their furling and unfurling of meditation. They are the quiet and kind strength of the bright and blushing light of nirvana. Here ecstasies were born, flourished and vanished. 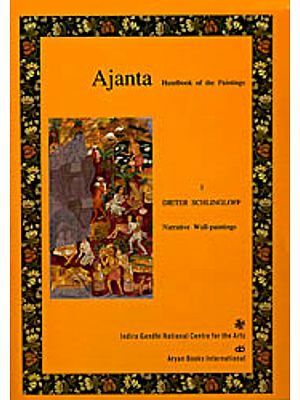 The classical anthology of Vidyakara, a dignitary in the Buddhist monastery of Jagaddala, cites a poem by Krsnabhatta. both are matter: both exist. Tun-huang and Bamiyan are the twin soul, wherefrom beauty of being filters through the sieve of sculptures, scrolls, murals and sutras, They are the spiritual environment of trees, rivers, dunes and hills, all radiant in the beatitude of the Middle Path of the Buddha. They invite us to a reformation of our civilisation that will begin with reflection on time. They are images of the divinity of man, the barefoot light on the fountain of our whole Being. The first cave at Tun-huang was dug by Yueh-ts'un who was on his way to the Western Regions. Coming to Tun-huang with his disciples he was mesmerised by a sparkling river, parasol trees, poplars and willows, aroma of melons and other fruits, the miraculous waters of the springs nearby and the irridescence of the peaks of the Sanwei mountains. His disciple who had gone to fetch the sacred waters did not return and had settled down to dig a cave, paint its walls and create sculptures in the crushing majesty of the landscape. The air rustling with invisible presences was now inhabited by mysterious beings in the metaphysic of murals. The master Yueh-ts'un decided to create a sangha in the mountain among Singing Sands and gave up his pilgrimage to the West. It was the consecration of the endlessly changing aspects of nature as the light of cosmical consciousness which unfolds spiritual awareness, a spring of dazzling light no human words can describe. The first cave was opened in AD 366. The name Chien-fo-tung "Thousand Buddha Caves" derives from the legend that a monk dreamt of a cloud with the Thousand Buddhas above the valley. The choice of a place for meditation had to be a site of pure and pleasing water which yields flowers and fruits. Lotus ponds, parks, divine shrines, waterfalls, caitya halls, quiet places, and other sites of natural charm are mentioned in the Vairocanabhisambodhi-sutra as appropriate for meditation (Wayman 1992:116, 312). The transparent veil of universal mystery has to the locus of contemplation wherein unfathomable depths are born of subtle self-analysis as the embodiment of enlightened meditation. The surrounds of Tun-huang provided the idyllic and serene ambience to forget the samsara and sink into meditation. Thus Mo-kao-k'u "Grottoes of Immeasurable Height", or Chien- fo-tung "Caves of the Thousand Buddhas" became the glittering Sumeru from the strategic commandery of Tun-huang "The Blazing Beacon" of the Han period. Its hundreds of caves were and are a pageant of Buddhist paradises with a sparkling galaxy of divine images, symbolising metaphysical spheres of inner experiences in a journey along the spiritual path. they visualised the crucial iconography of Bamiyan in the radiant clouds reflecting the Ten Bodhisattvas from the mystic clouds of the Gandavyuha. They settled down at Tun- huang to create a veritable paradise of Rocana Buddha in the transcendent adornment of the caves so that they are the realm of hua-yen "flower ornament" or as Maitreya says: "they know that all things are like reflected images, but the Bodhisattvas do not despise any world"(Cleary 1983:8). 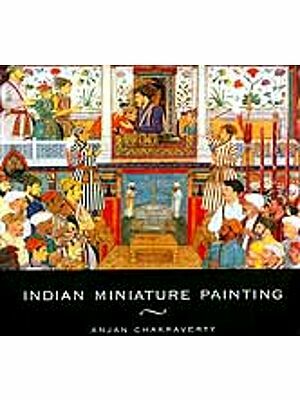 This work describes and contextualises 143 paintings out of 277 in the National Museum, New Delhi. Some scrolls have faded leaving faint traces of colour and these have not been included. The art of Tun-huang has been phased in three periods. The first period with a marked influence of Gandhara cover four dynastie from AD 397 to 581. The second period span the Sui and Tang dynasties, from AD 581 to 907 when it attained its climax of aesthetic excellence, sumptuous paradises, sutras unfolding various spiritual worlds. The two large Vajrapani guarding the entrance of cave 427 in the early 7th century were an innovation, representing Narayana and Mahesvara as guardians. They came to be known as 'Two Kings' or Ni-6 in Japan, and are colossal sculptures. The Northern Colossus of Maitreya in cave 96 dated to AD 695 and the Southern Colossus of Rocana in cave 130 is dated AD 721. The third and last period pertains to the Five Dynasties, Sung, Hsi-hsia and Yuan, covering over four centuries from AD 907 to 1368. The Tibetans ruled Tun-huang from AD 781 to 847 and they donated a number of caves with new architectural features, new subjects and new pallete of colours. The 'Emperor of Tibet' is shown in the paining of cave 158, which is the largest as it has a gigantic figure of Lord Buddha in nirvana. A little lower than the Tibetan Emperor is the Chinese Emperor. Large-size royal portraits were an innovation that was followed later on by their successor rulers of the Ch'ang and Ts'ao families. The Ts'ao family which came to rule Tun-huang in AD 906 had close marital relations with Khotan. The Ch'ang family celebrated the return of Tun-huang to the Chinese by the heroic victory of Ch'ang I-ch'ao. They sanctified his hallowed memory by huge portraits in cave 98. The King of Khotan and the Uigur Queen too are depicted in larger than life portraits. The donor figures increased, in contrast to the earlier caves where no regal representations are seen. Tun-huang was the diaspora of the Khotanese royalty, nobility, monks and others escaping from the genocide and scorched earth aggression of Islamic Kashgar. Tun-huang survived these ravages of religious fanaticism and it is celebrated in Chinese poems written on the walls of the caves. of monks who were experts in the martial arts and escorted itinerant bhiksus across long distances. The warrior-trained monks were to guard the holy relics, the treasures of shrines, and teachers of Dharma from robbers (Tomio 1994: 194). Combatant monks are mentioned in the Sarvastivada-Vinaya (T24), Ekottaragama (T2), and Udanavarga (T4). The Asokavadana translated by Fa Ch'uan in AD 300 lists 32 sacred places at which Asoka built a stupa. These include the hall at which young Siddhartha studied the martial arts. 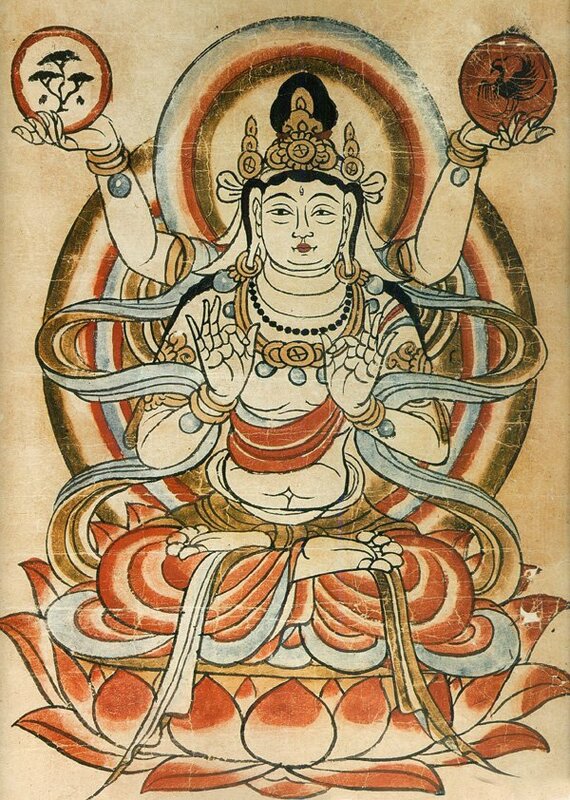 The mudras in the Tun-huang paintings and murals need to be studied in detail. Though in keeping with the traditional iconography, at times they represent regional variants or more sophisticated versions of the classical gestures. For example, Waley says that the Buddha in Stein 518 has the right hand in vitarka-rnudra near the chest and the left lies horizontal below it. 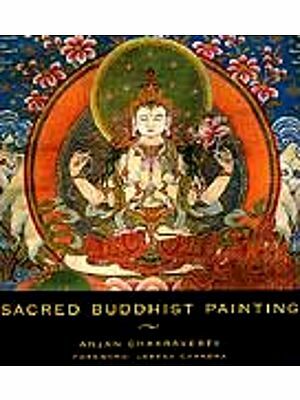 It is a painting of Lord Buddha granting fearlessness from evil and the gesture of argumentation (vitarka) does not accord with its function. We have identified it as the abhaya-mudra in kataka with the elegant rondure Gzasalea 'ring') of the hands. The left is in the dhyana-mudra, The abhaya and varada-mudras of Lord Buddha had been identified as vitarka by Waley due to their nexus with the annularity of the kataka. 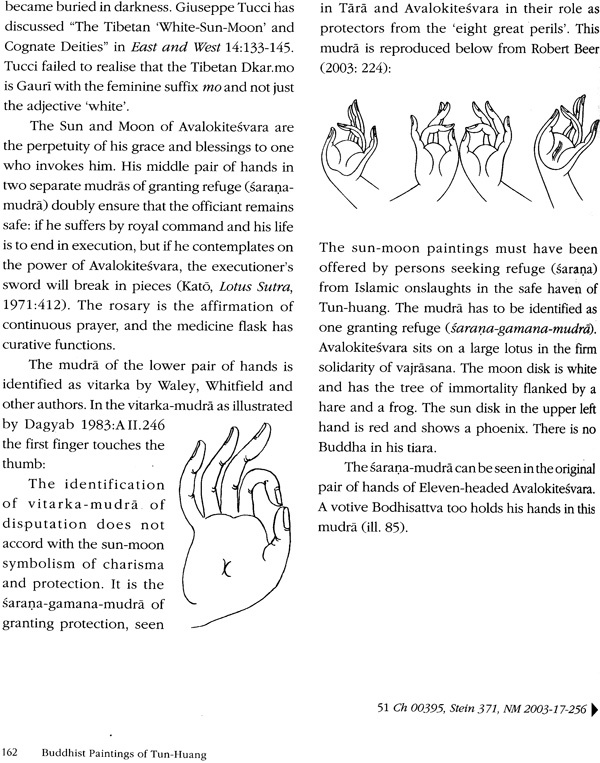 The mudras have been re-interpreted to accord with their ritual function. The mudra of the Sun-Moon Avalokitesvara is for granting refuge: it is the sarana-mudra. It has been identified anew from the mudra of Tara and Avalokitesvara in their role as protectors from the 'eight great perils' Casta- mahabhaya-trdna) . We have spent glorious years on these scrolls of Tun-huang in their supernal appearances as a direct experience of a cosmic consciousness whose radiance fills centuries of Sino- Indian visions that sway, surge, throb, and hold rhythms of their own in the boundless wonder of impermanence. They are the wisdom that transcend? delusions, and the boundless mind that endures beyond the ups and downs of life's flow. From the visual domain they are the way to finer, subtler spheres of the arupa, an ascent from the world of space and time to the timeless omnipresence.